Saúl Ñíguez and Antoine Griezmann scored in the first half and Kevin Gameiro and Fernando Torres in the second as Atlético Madrid earned a 4-2 win at Bayer Leverkusen. 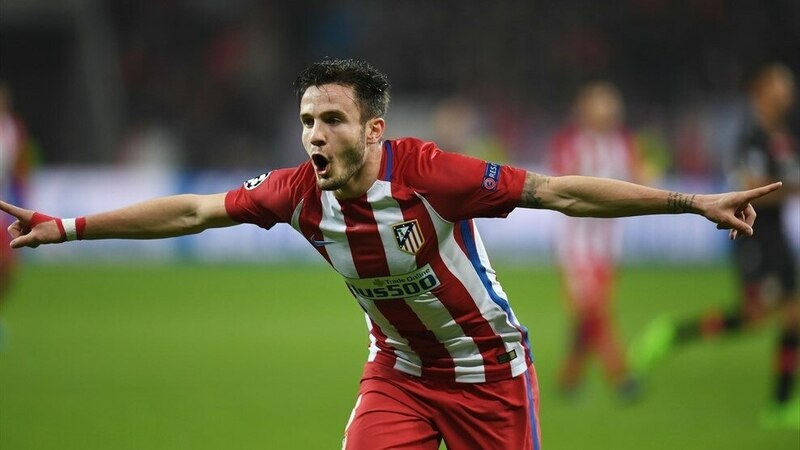 First-half goals from Saúl Ñíguez and Antoine Griezmann were added to after the break by Kevin Gameiro and substitute Fernando Torres as Atlético Madrid produced a clinical counterattacking display at Bayer Leverkusen. Beaten 1-0 in Leverkusen in the last 16 first leg two seasons ago – eventually winning the tie on penalties – Atlético showed early signs of their cutting edge as Griezmann was denied by Bernd Leno and, from the follow-up play, Filip Luís’ cross was sliced against his own crossbar by Wendell. Seventeen minutes in, another quick Atlético counter did bring reward. Saúl skipped away down the right and cut inside to bend a beautiful shot inside Leno’s top corner with his left foot. One-nil swiftly became two as Aleksandar Dragović’s sliced clearance found only Kevin Gameiro, who drew the defenders before setting up Griezmann for an emphatic finish. The scorer then almost beat Leno again, the goalkeeper half-blocking with his arm and the ball spinning fractionally over. Having struggled to make an attacking impression in the first half, Leverkusen were quickly into their stride after the interval, Julian Brandt’s fine pass picking out Benjamin Henrichs on the right and Karim Bellarabi supplying a fine first-time finish at the near post. Atlético nearly restored their two-goal cushion instantly, Gameiro’s shot clipping the outside of the post, before the Frenchman was hauled down by Dragović and smashed in the resulting penalty to make it 3-1. 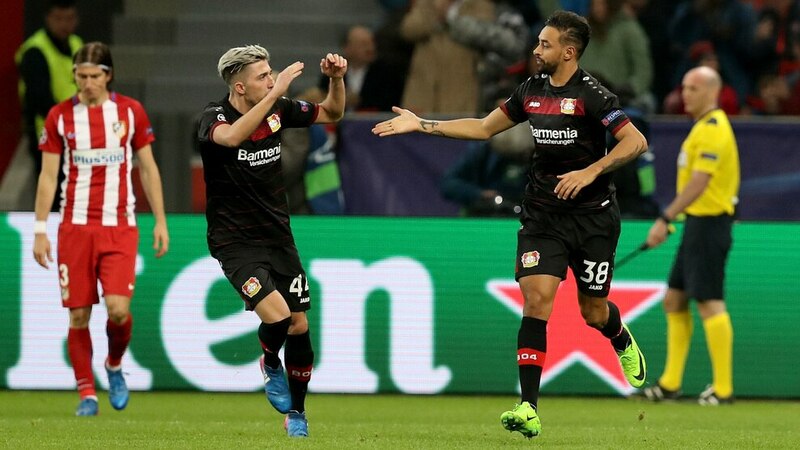 Again Leverkusen found a way back as Brandt slid in a low cross from the left and goalkeeper Miguel Ángel Moyà pushed the ball against Savić and back into the net. With the home side revived, only a well-placed Filipe Luís on the line prevented Javier Hernández levelling. Instead, it was Atlético who applied the killer touch, Šime Vrsaljko capitalising on a swift throw-in down the right to deliver a pinpoint cross that Torres expertly headed across goal and inside the far post. After scoring the second-fastest Liga hat-trick in history from the bench on Saturday, the Frenchman was given a starting berth and proved a thorn in the Leverkusen defence throughout with his speed and directness. He showed wonderful vision to set up Griezmann for his goal, and deft skill to win and score the penalty in a fine all-round display. One of the few positives to emerge from a disappointing night for Die Werkself was the sight of Kai Havertz making his full UEFA Champions League debut aged just 17. The Aachen-born youngster, who made cameo appearances against Tottenham and CSKA Moskva in the group stage, has been compared favourably to Mesut Özil and, although his evening lasted just 55 minutes, it is clear that the teenager has a bright future. Simeone named an uncharacteristically attacking XI, but knew exactly what he was doing. Leverkusen played on the front foot with a high defensive line and Atlético were set up to transition the ball quickly and get in behind the Werkself’s defence in a wonderful first-half display. 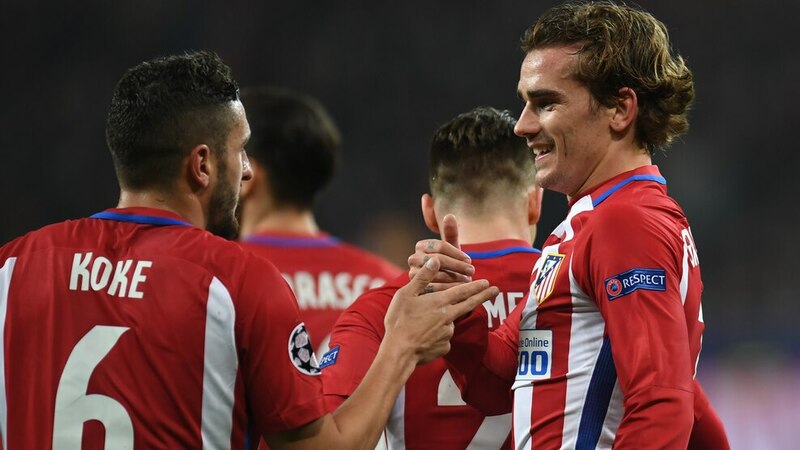 The speedy duo of Gameiro and Griezmann ran amok in the space they were afforded and the gameplan worked to perfection going forwards. 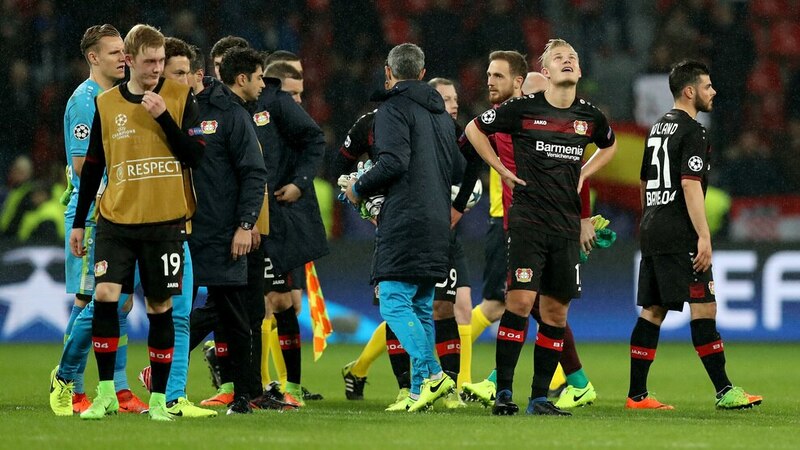 Not since 2001/02 have Leverkusen progressed beyond the last 16 of the Champions League, and their hopes of reaching the last eight this season are dangling by the thinnest of threads once more after shipping four away goals. The visitors were a joy to watch at times, but having been so solid defensively for the majority of the group stage, Roger Schmidt will be extremely disappointed with his team’s defending. The view pre-match was that with so many injuries, a result meaning the Rojiblancos were still in the tie come the second leg would have been sufficient. 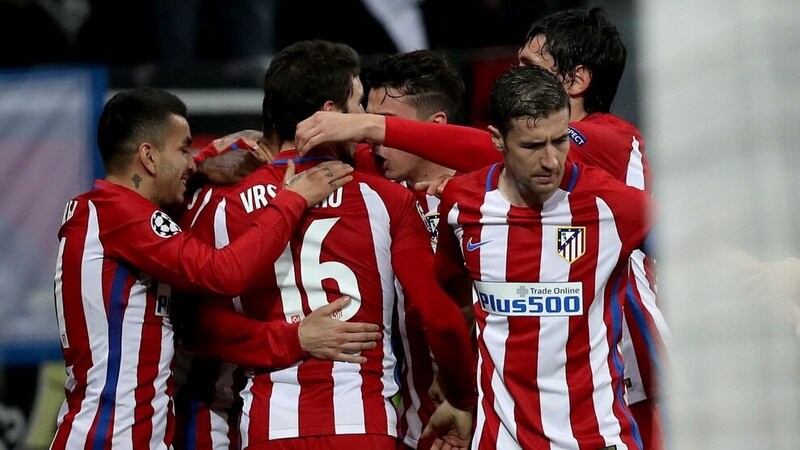 Atlético, though, had other ideas and put on an exhibition of counterattacking football. Four away goals is more than they could have hoped for, ensuring a comfortable advantage heading back to the Vicente Calderón.